Services - Quality Carpentry Services, Inc.
Quality Carpentry offers more than just a competent drywall subcontractor. We have designed a business model enabling us to be perfectly poised to provide our clients with a full service commercial and residential carpentry contractor. Our philosophy has always been that a well-rounded craftsman can provide a higher quality product and better experience for everyone involved. Harboring this mindset, we have cross trained already skilled journeymen in multiple scopes of the carpentry trades. 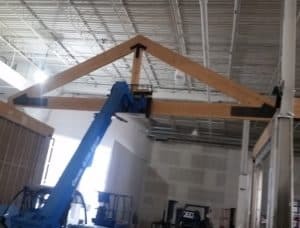 This providing our framers with insight as to what the drywall hanger and finish carpenter will need to make their work plumb and square with minimal effort as well as giving our drywall finishers the knowledge of what the painter will need to turn over a quality product with minimal punch list. These are just some examples of how we have implemented this philosophy to provide our clients with a quick and efficient project completion. This business model has enabled us to find a niche in a very competitive market providing our clients with a one stop resource for all their drywall and carpentry needs. In 2018 we look forward to revisiting our roots by adding more residential projects to our resume and opening a residential division. In addition to residential services, we are excited to get involved in the design / build process and are looking forward to further diversifying our business model to accommodate an ever growing and changing clientele.